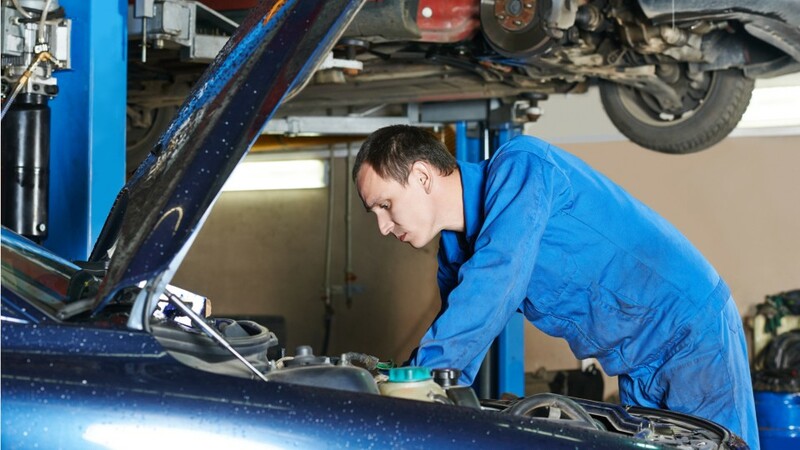 It may be tempting to tinker with your car on your own when it breaks down, but for most people, the only solution is to bring it in to an automotive service technician or mechanic. These technicians troubleshoot automobile problems. They inspect vehicles like a detective seeking clues… and replace old parts with the precision of a surgeon. While they use computers to diagnose some issues… inspecting parts and systems as they run through a long checklist…is typical. Mechanics also have a knack for translating car jargon for car owners who need advice on repair decisions. Service technicians work with a variety of tools and grease-covered auto parts… sometimes in uncomfortable positions. Standing all day, lifting heavy objects…. work for mechanics is physically demanding; they must take steps to prevent injuries. Mechanics work in car dealerships, auto repair shops, or may opt for self-employment. It is common for them to work on weekends, holidays, and to put in overtime. Employers prefer to hire technicians who have completed a vocational or post-secondary education program in automotive service technology, and they may also want you to earn industry certification later. It’s just the first step to a career where you can let your passion… drive you. See more details at O*NET OnLine about recreational vehicle service technicians. Recreational Vehicle Service Technicians by U.S. Department of Labor, Employment and Training Administration is licensed under a Creative Commons Attribution 4.0 International License.